TOKYO (AP) _ Prime Minister Shinzo Abe’s offer of $110 billion in fresh infrastructure financing for Asia is as much about Japan’s agenda for selling its clean coal know-how and other technologies as it is about keeping up with China. Abe announced the commitment, topping the $100 billion China set for its newly created Asian Infrastructure Investment Bank, on Thursday with an explicit pledge to make a “treasure trove” of Mongolia’s vast reserves of brown coal, regarded as too polluting for power generation. Japan sided with the U.S. in not joining the 57 countries that have signed on to the Beijing-initiated AIIB, but instead has pledged to provide more support itself, both through the Asian Development Bank, to which it is the largest donor, and also through public-private initiatives. The plan announced Thursday represents about a 30 percent increase over current funding levels. It is in keeping with Japan’s priorities to counter China’s growing influence while also helping support its own manufacturing capacity and trade in the region, especially in Southeast Asia. Abe reminded his audience, who included former Malaysian Prime Minister Mahathir Mohamad and Mongolia’s president Elbegdorj Tsakhia, of Japan’s longstanding role as a provider of aid to the region. Six decades ago, through the “tenacity of the Japanese engineers who grappled in the dense forest with large snakes, elephants and tigers,” Japan built Myanmar’s Baluchaung Hydropower Plant, which still provides a fifth of the country’s electricity, he said. Even with their increased commitments, the scale of available financing falls short of the $8 trillion the ADB says is needed by 2020 to help build up essential infrastructure. Abe pledged more support of advanced medical technology for its developing Asian neighbors; “safe and reliable” high-speed rail systems and improved water treatment. 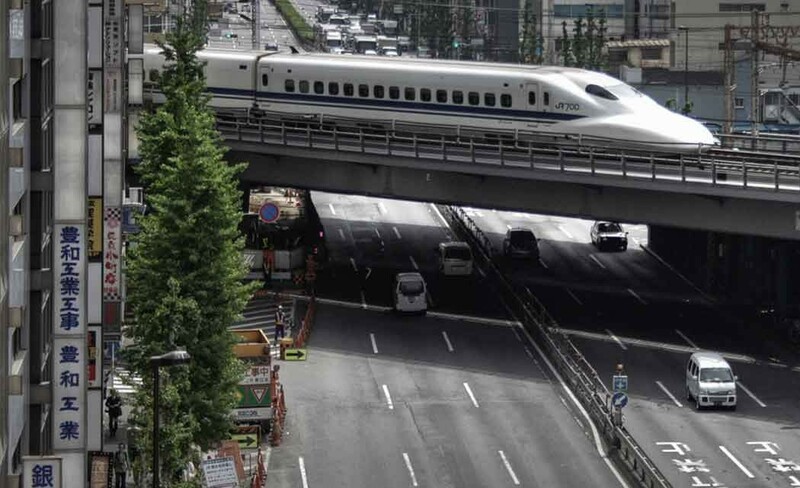 Japan and China are competing intensely on sales of high-speed railways. Since taking office in late 2012, Abe has crisscrossed the globe, promoting Japan’s efforts to sell such big-ticket technologies and equipment. But his main focus was on energy. With energy demand due to expand by 60 percent by 2040, Asia cannot afford to rely on rising imports. “We will help Asian countries to realize their energy strategies and contribute to technological development around Asia. We will spare no effort in our cooperation,” Abe said. Apart from clean coal, Japan is promoting a shift to use of energy efficient LED lighting, energy-conserving air conditioners equipped with inverters and electric vehicles. Having shut down its nuclear reactors following the 2011 disaster at the Fukushima Dai-Ichi nuclear power plant, Japan has ramped up its use of coal and needs cheap supplies from its neighbors. Support for coal-fired power plants that use new high-efficiency combustion technologies to reduce CO2 emissions, compared to older coal plants, is in sync with efforts to counter climate change, Abe said. He cited power industry estimates that releases of greenhouse gas emissions by 1.5 billion tons a year if it were to spread to the U.S., China and India.